Connecting to the Internet and getting what you want FAST makes you more productive and more effective. In many cases, you are paying a fee for a fast connection. Most Internet Service Providers (ISP) offer tiered service and you pay more, or less, depending on your requirements. 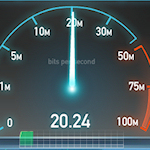 On more than one occasion over the years I found I was paying for a high-speed connection but actually getting a lower speed – yes, overpaying! With this in mind, it’s a smart move to check your Internet connection speed to make sure you are getting what you are paying for. 1) Check the service agreement you have with your ISP to confirm the upload/download speeds you are buying. 2) Make sure you are connected to the Internet with your computer. 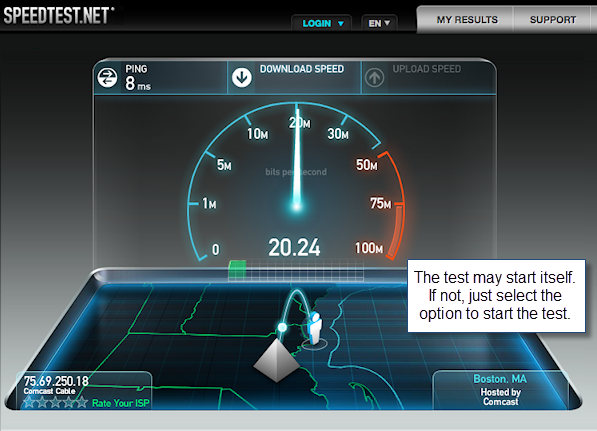 3) Go to SPEEDTEST.NET (http://www.speedtest.net). NOTE: There are a lot of advertisements running here most of the time so be aware what you are clicking on. 4) Follow the directions if needed, but often the test will start automatically. 5) The test takes 20 to 30 seconds to run. First it will test your download speed. Then it tests your upload speed. You’re looking for two things, your DOWNLOAD speed and your UPLOAD speed. Most of the other stuff on these screens are advertisements. Download speed will almost always be faster, and that is normal. 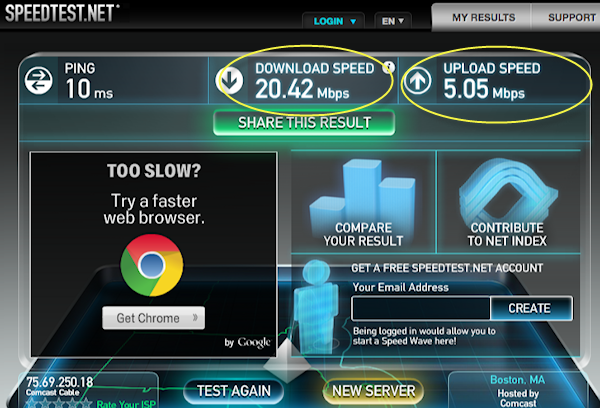 Here are two screen-captures that show what you’ll see at SPEEDTEST.NET.